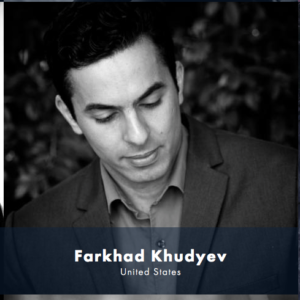 January 28th, 2018 – Farkhad Khudyev is invited to participate at the prestigious 2018 Nikolai Malko International Conducting Competition in Copenhagen, Denmark. There were 566 applicants from around the world, and only 24 conductors were chosen to participate in the competition. The event will be hosted by the Danish National Symphony Orchestra during April 20th – April 27th, 2018. Khudyev is invited to work with the San Diego Symphony Orchestra!